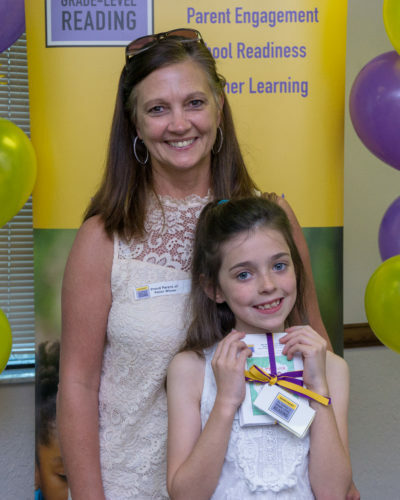 In honor of Attendance Awareness Month in September, the Suncoast Campaign for Grade-Level Reading hosts an annual Attendance Awareness Poster Contest to promote good attendance habits and help students and parents understand why going to school every day matters. 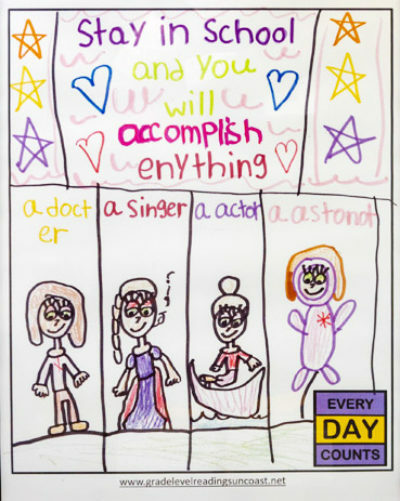 Since the inaugural Attendance Awareness Poster Contest in 2015, nearly 200,000 posters have been created by students from Sarasota, Manatee, Charlotte, and DeSoto counties about the importance of outstanding attendance. We know that there’s no such thing as perfect, especially when it comes to attendance. After all, children do get sick or may need to miss school for a number of reasons. We know missing more than 10% puts children in academic danger. We don’t want our children missing 20 days, so what’s a realistic number? Consider striving for less than five absences per year as hitting the mark of excellence! 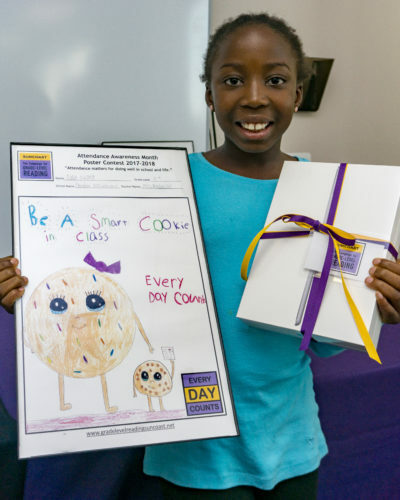 — On December 1, 2018, Attendance Awareness Poster Contest winners were invited to participate in the Sarasota Holiday Parade with their families. 480 people joined, and we are happy to say, SCGLR’s float won for the best walking unit! For more information about the Attendance Awareness Poster Contest, please contact us.